Born in San Francisco, Marita grew up in Massapequa Park, New York. She earned a BA in psychology and a ND (Nursing Doctor) from Case Western Reserve University, and she earned a Master’s degree in psychiatric/mental health nursing from the University of Michigan. 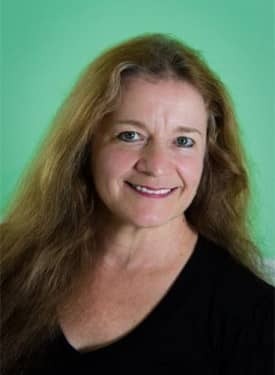 Marita attended Lauterstein Conway Massage School, and she has been a licensed and nationally certified massage therapist since 2012. In 2013, Marita became certified in manual lymphatic drainage therapy (Vodder technique). She joined the Oncology Massage Alliance in 2014 and currently provides hand and foot massage to patients at Texas Oncology Round Rock infusion room. Her Leander-based professional practice, Being In Touch, provides therapeutic massage and holistic home nursing care. In her private time, Marita is an author and visual artist. She volunteers annually at Festival Hill’s Poetry at Round Top. She belongs to the American Holistic Nurses Association, Sigma Theta Tau (International Honor Society for Nursing), Associated Bodywork and Massage Professionals, Austin Herb Society, Zion Natural History Association, Girl Scouts of America (life member), and The Viktor Frankl Institute of Logotherapy (life member).